Amanda and Joe entered their wedding reception, everyone clapping and cheering, as they went to the dance floor for their first dance as husband and wife. It wasn't the first time these two had danced to this song though. Not even the first time they had danced to it all done up in their formal attire. Ten years ago, when Amanda and Joe went to their high school prom together, "I'll be" by Edwin McCain also played and they slow danced to it together. This time though, Joe's father was the one singing it with their friends and families all there with them. It was a beautiful moment to witness. In order for Joe to be able to ask Amanda to prom all that time ago, Amanda's father was enlisted to help. He had to completely clear (and dry!) their driveway of snow so that Joe could follow through on his plan to use chalk on that driveway to write her a message. And this past Saturday, Amanda's dad chalked their driveway again, writing "Prom to Wedding" to celebrate Amanda and Joe's journey and history. Amanda couldn't have been more excited to tell me about where their ceremony was being held. It was at the same church that her parents were married at thirty years before. 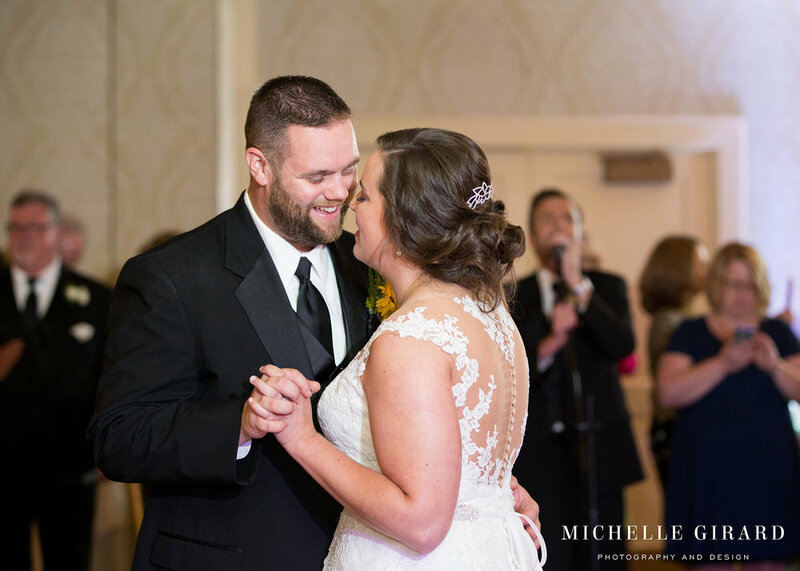 Amanda and Joe were married on Saturday but they were already family. Their families were already family. Hearing each toast and more about their story made that clear. They have a world of support around them and connections that they truly value. Each aspect of their wedding was meaningful and a testament to their connection. It was a beautiful day for two beautiful people.